BLOOMINGTON, Ill.— Hans-Joerg Tiede, chair and professor of computer science at Illinois Wesleyan University, has published a bookon the founding and history of the American Association of University Professors (AAUP). University Reform (Johns Hopkins University Press, 2015) examines the time from just before the AAUP’s founding in 1915 until the immediate aftermath of World War I. A longtime AAUP national leader, Tiede said the book aims to challenge the prevailing myth that the AAUP was founded with the primary purpose of defending academic freedom in direct response to the Edward Ross case at Stanford University in 1901. The book contains details on influential historical cases of academic freedom, as well as the impact that historical events such as World War I and America’s first “Red Scare” had on the organization. Tiede’s book was the result of research he conducted for an article on the AAUP’s founding. Archival research is not something that Tiede was familiar with before undertaking this project. “Perhaps the drive came from my desire to learn to do something I had never done before,” he said. “I hope readers will get a better sense of the relationship between developments in the broader society and higher education,” Tiede added. Tiede has been a faculty member at Illinois Wesleyan since 1999. After completing his undergraduate studies at the Free University Berlin, Tiede went on to earn master’s and doctoral degrees from Indiana University. He has been actively involved with the AAUP for several years. Tiede worked to restore the chapter at Illinois Wesleyan, as well as working at both the state and national level in various roles, such as the chair of the Committee on the History of the Association. 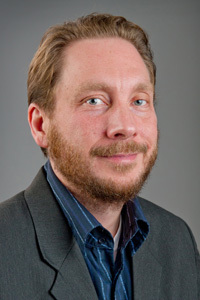 Tiede is a current member of Committee A on Academic Freedom and Tenure for the AAUP, and was elected to the organization’s governing council. He also acts as the chair of the Assembly of State Conferences.